The von Frisching-von Wattenwyl family was located in Switzerlad. 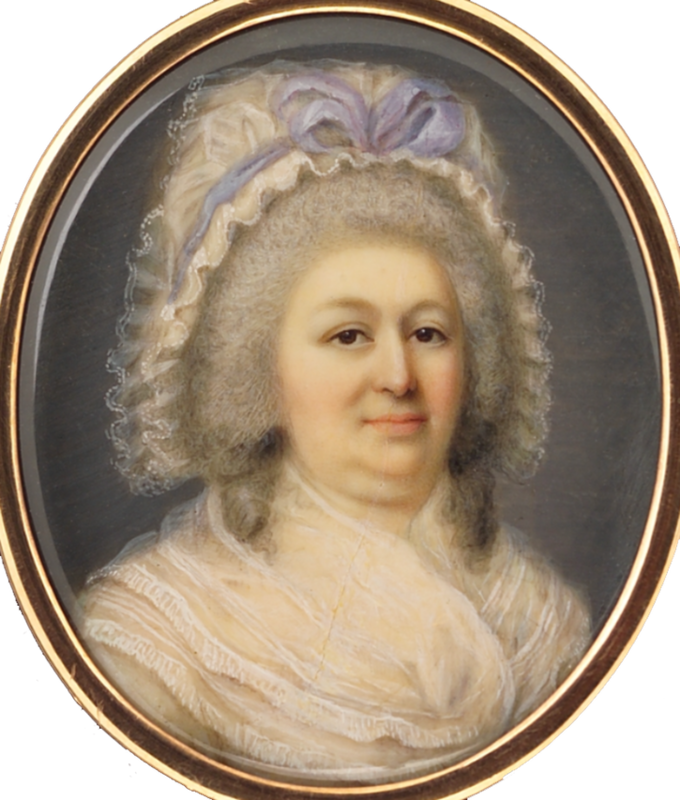 A genealogical check of the family turned up a possible name, Barbe Suzanne Brun. 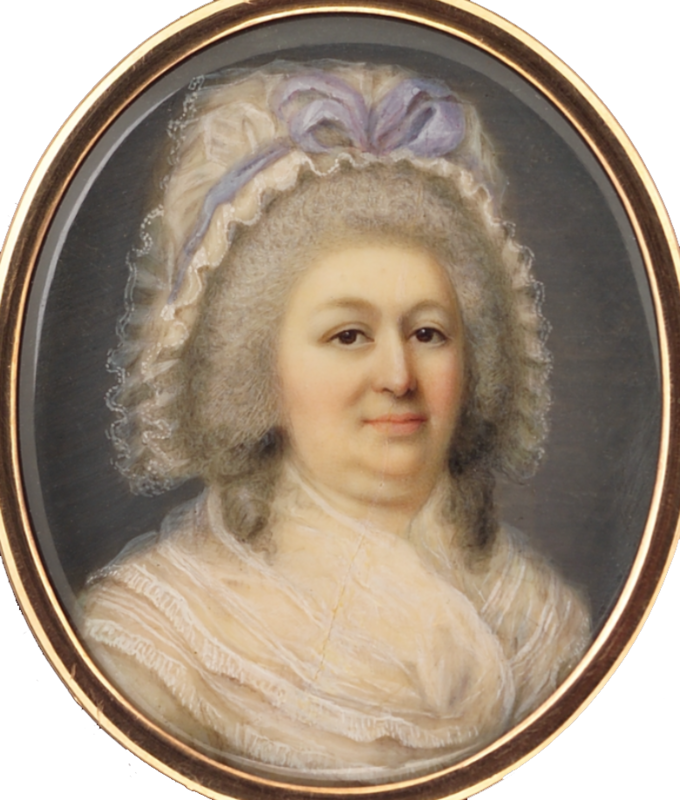 This miniature shows late 80s coiffure and style persisting to 1790.